Refinance rates were mixed, but one key rate receded. The average rate for a 30-year fixed-rate refinance was down, but the average rate on a 15-year fixed climbed higher. Meanwhile, the average rate on 10-year fixed refis notched higher. The average 30-year fixed-refinance rate is 4.61 percent, down 8 basis points since the same time last week. A month ago, the average rate on a 30-year fixed refinance was higher, at 4.82 percent. At the current average rate, you’ll pay $513.24 per month in principal and interest for every $100,000 you borrow. That’s down $4.80 from what it would have been last week. The average rate for a 15-year fixed refi is 3.98 percent, up 4 basis points since the same time last week. 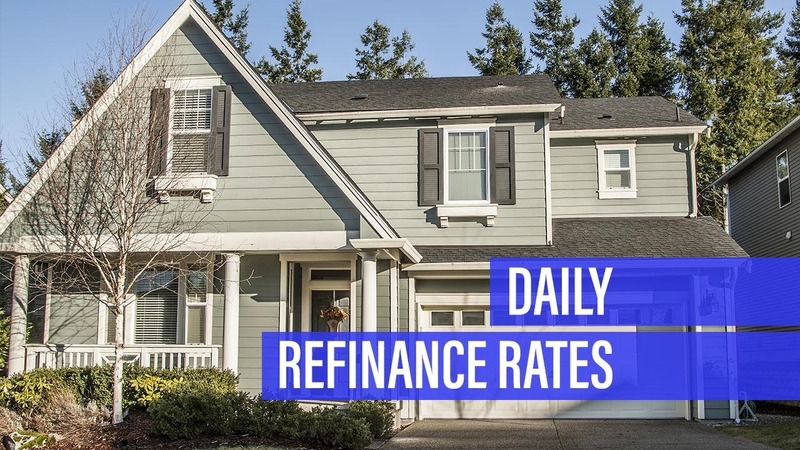 Monthly payments on a 15-year fixed refinance at that rate will cost around $739 per $100,000 borrowed. The bigger payment may be a little harder to find room for in your monthly budget than a 30-year mortgage payment would, but it comes with some big advantages: You’ll save thousands of dollars over the life of the loan in total interest paid and build equity much more quickly. The average rate for a 10-year fixed-refinance loan is 3.96 percent, up 10 basis points from a week ago. Monthly payments on a 10-year fixed-rate refi at 3.96 percent would cost $1,005.81 per month for every $100,000 you borrow. As you can see, the hefty savings in interest costs you’ll reap with that short 10-year term comes with the downside of a much larger monthly payment.